A mother’s melodic lullaby, granddad’s legends, Christmas carols, Cretan serenades, traditional dances… Centuries old customs and traditions that have accompanied us in every facet of our lives. And of course Christmas could be no different! With Greece being an ancient maritime country, the decoration of the traditional fishing boat dates hundreds of years when the majority of greeks were working as sea men. During the Christmas time the family would decorate a small wooden boat to symbolise their thankful spirit for the safe return of the father and his sons against the odds of nature and the harsh winter sea. 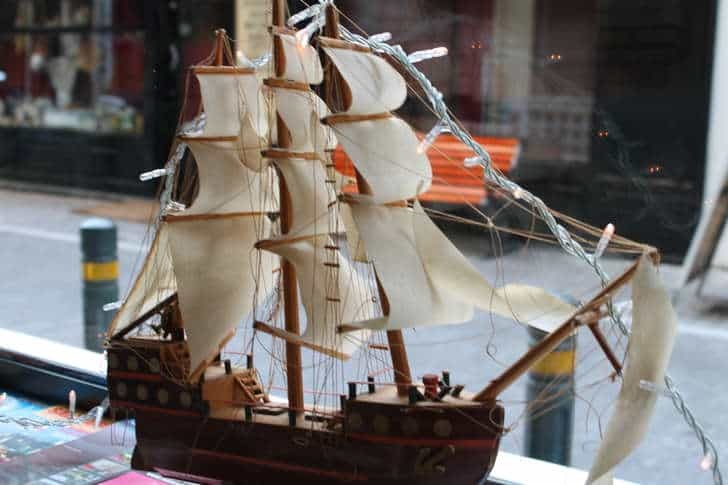 During the Christmas festive season, the family’s children used to build a paper and wood model ship which was embellished with coloured paper and ropes and wandered from home to home singing the traditional Greek carols usually accompanied by instruments such as triangles, guitars, accordians and harmonicas. In this boat the children tucked away their christmas pastries, cross buns and treats from the residents they sung for. 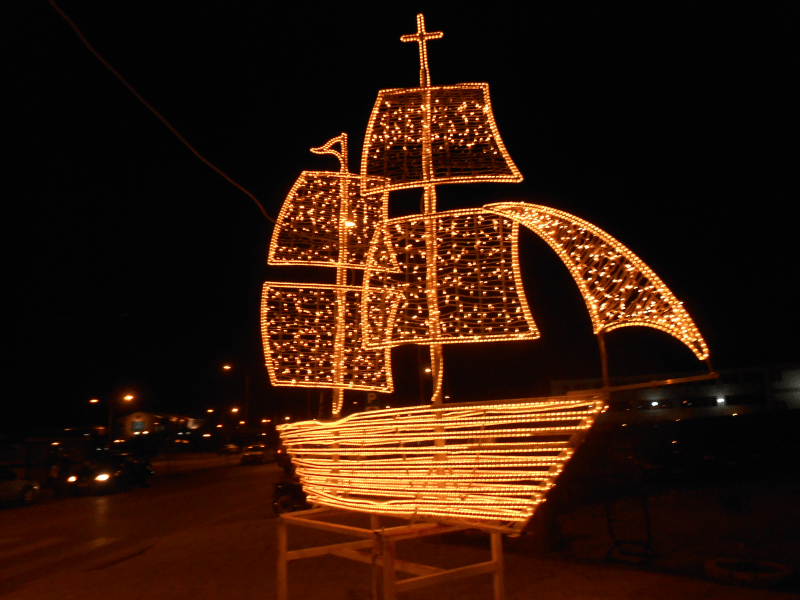 With the introduction of the first Christmas tree in 1833 by king Otto, the decoration of the sailing boat declined, but it is still alive and well in its birthplace; the Greek Islands with some municipalities making commendable efforts to restore the custom in its original form, with boats adorning the central city squares instead of the usual Christmas tree. To honour this decades old tradition we have brought to you the very best pictures of decorated, Christmas boats from all over Greece. Click on any of the images below to enlarge. Enjoy!